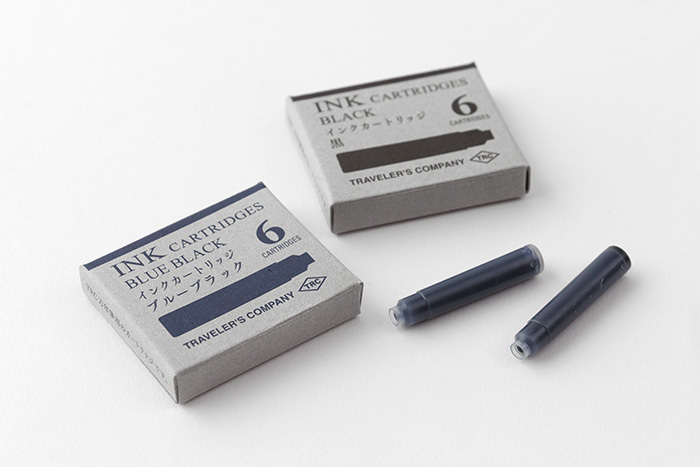 Here is how to replace TRC Fountain Pen’s ink cartridge. 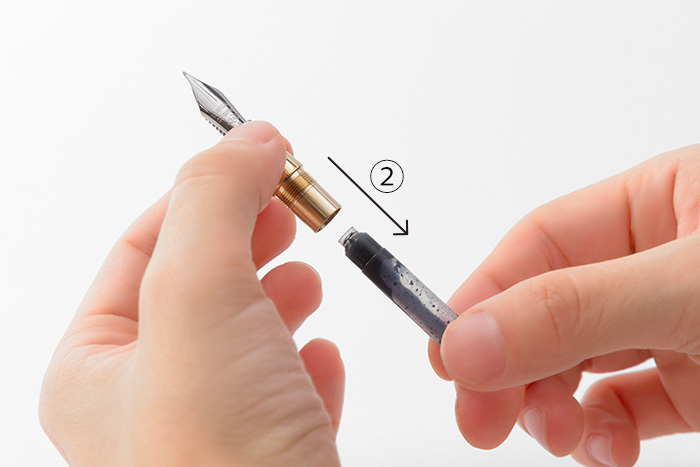 In changing the ink color please wash according to “HOW TO KEEP THE PEN IN GOOD CONDITION” before you replace it. 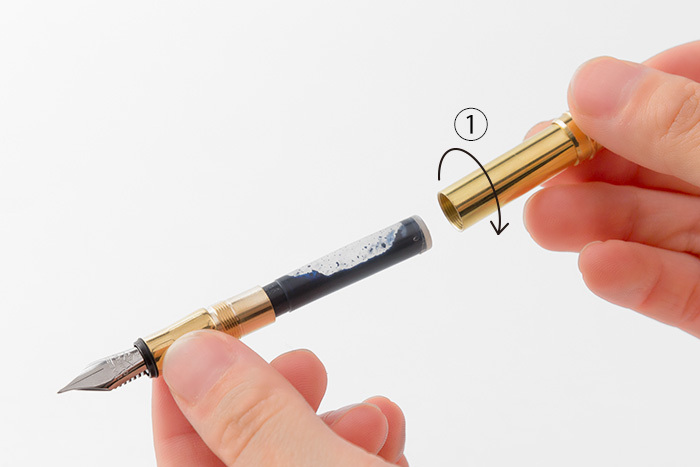 Remove the empty cartridge pulling straight in the direction (2). 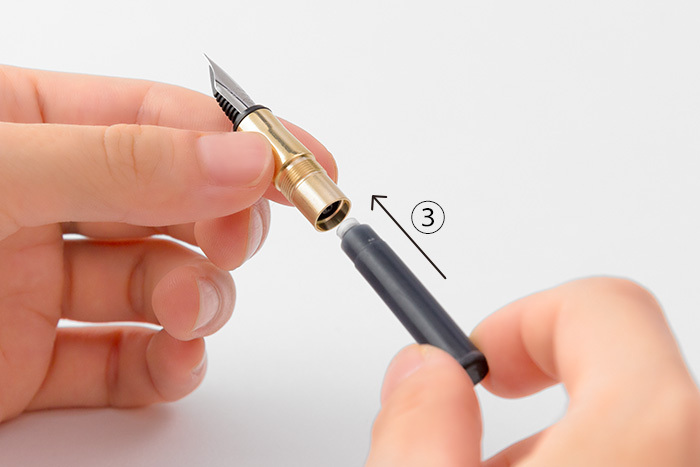 Put the pen nib-up and insert the small end of the cartridge straight in the direction (3). 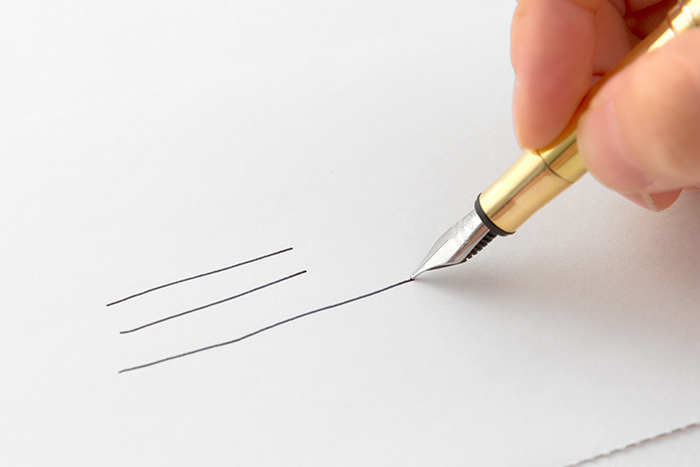 Although it takes a little while to access the ink, soon the pen will write smoothly.